Hi friends! 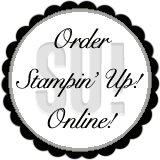 Today I have a card to share with you that I made last night while attending a meeting with other Stampin' Up! Demonstrators! 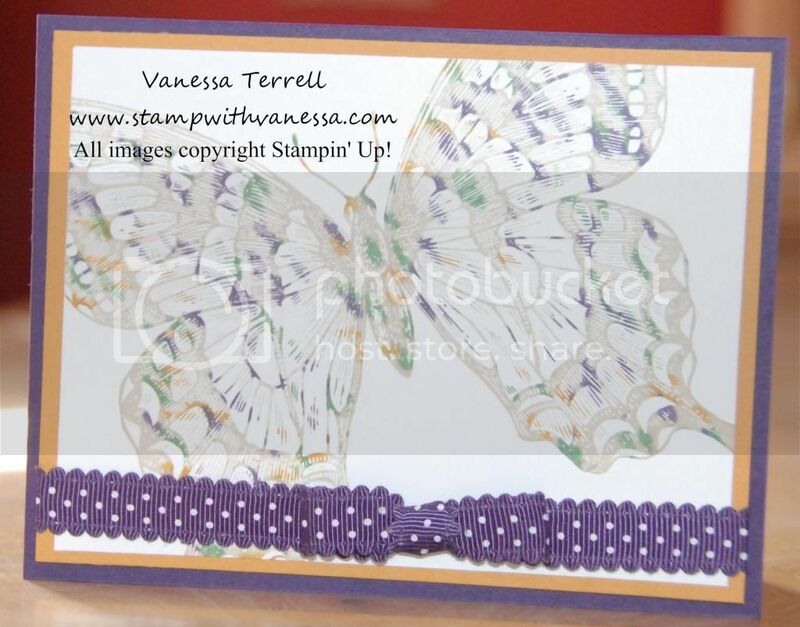 We used the new Swallowtail stamp and used a technique called Thumping! Simple technique, basically you are adding my color to your image before stamping. We started off by stamping in a light neutral color and then added more color by lightly tapping or thumping 3 additional colors starting with our lightest color and then adding on the two other colors. Very striking effect! This stamp makes some very nice cards, I can't wait to try some other things with it!